Vik has combined his love of travel and photography to create Real Adventures. After college, he spent two years hitching around the world where he laid dynamite lines, mined opals and delivered luxury vehicles. Since then his travels have included bike tours in Europe, beach vacations in Greece and snorkeling in the Caribbean. Regina is an online marketer at RealAdventures.com. She graduated from the University of Connecticut with her BA in Business and Technology, and moved to Boston shortly after to peruse a career in marketing. She has always had a passion for business, and marketing is definitely her niche. She loves any opportunity that allows her to think outside the box and show off her creative side. She is full of life, extremely adventurous, and down for anything. When she is not working in the office she enjoys hiking, camping, snowboarding, rollerblading, music, and dancing. Although she is having a blast living in Boston, she is a country girl at heart and would love to live on a farm outside the city someday. She has not done much travel yet, but she plans on doing a lot more in the future including a backpacking trip across Europe. Anna is a marketing & communication expert with over 4 years experience in the public relations and marketing industries. Prior to joining RealAdventures she helped develop and execute award-winning communications programs for established brands such as the American Ski Company, as well as emerging software companies in the enterprise, Web 2.0 and business services sectors. She has a particular interest in working with start-up companies and over the years has acquired a unique understanding of how the mind of an entrepreneur operates. Anna graduated from Trinity College in 2002 and played Varsity Soccer and Lacrosse all four years. An avid traveler, she is thrilled to work for a company whose mission so closely matches her own interests. Some of her favorite travel destinations include Guatemala, Montana and the Caribbean and her favorites activities include playing tennis, skiing, and running around with her Boston Terrier, Francis. 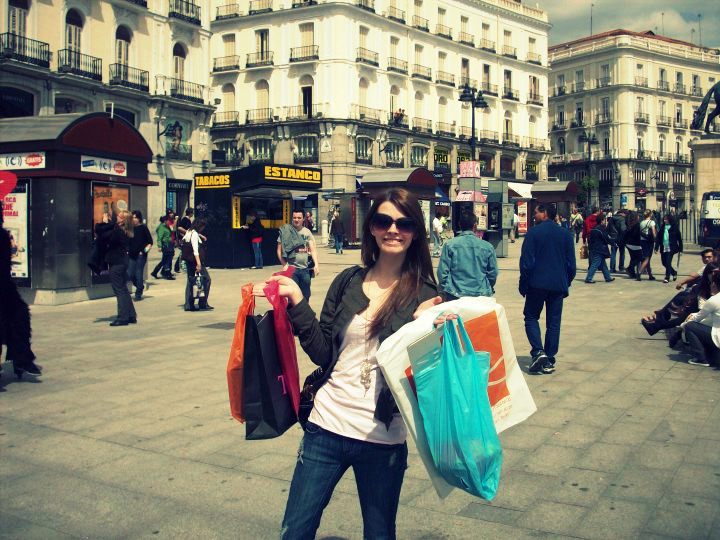 Kate spent two years in Spain living, breathing and learning the culture and language. While there, she established a Training & Translation company to help Spanish businessmen and professionals improve their English and written proposals. In between clients, she found ample time and energy to explore France, Italy, Portugal, Austria and Switzerland. 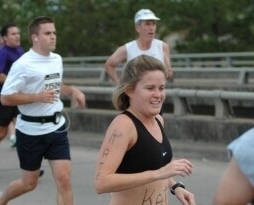 Kate has run the Boston Marathon three times and plans on climbing Machu Picchu next summer. Talia is a marketing and outreach assistant at RealAdventures. She is a senior in Boston University's School of Management majoring in marketing and minoring in advertising. Originally from the great state of New Jersey, Talia always hoped to travel the world and got her chance when she studied abroad for a semester in London. During her four months there she visited Ireland, Germany, Italy, France, Spain and Greece. She hopes to continue her travels soon, starting with South America. Her main role at the company involves reorganizing and redesigning pages as well as market research and outreach. She enjoys being in an environment that promotes adventure and is learning everyday about web site management and marketing. When she isn't working or making plans to travel, she is fencing, writing or cooking. 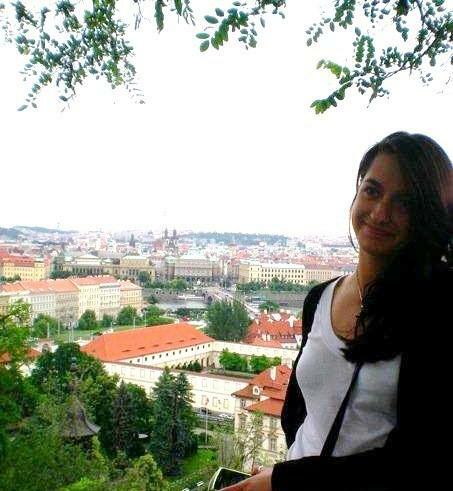 Kara was bitten by the travel bug when studying abroad at Murdoch University outside of Perth, Australia. 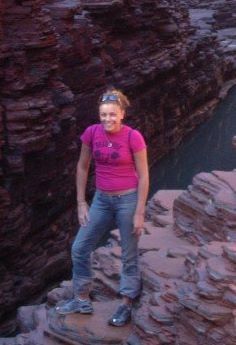 This picture is from Karijini National Park in Western Australia where her and forty international students camped in the Outback for ten days. 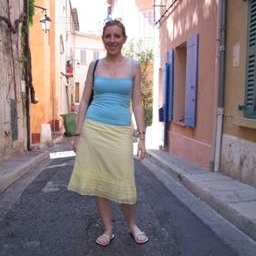 In addition to living in Australia, Kara lived in Madrid, Spain for seven months after graduating from Ithaca College in 2008. While in Spain, Kara participated in the world of Wwoofing by volunteering on a self sustaining eco-tourism resort in Valor, Spain. 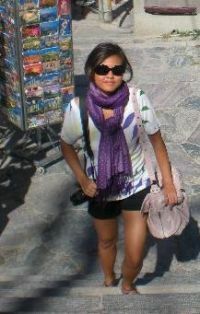 Marketing travel at RealAdventures comes naturally for Kara since it's such as passion of hers. Currently, Kara is finishing up her Masters in City Planning at Boston University. In her free time she is either running, swimming or planning her next real adventure, a two month trip cross country! 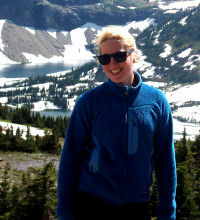 At RealAdventures, Kaitlyn is an outreach and marketing assistant. Her main focus is on promoting the company through Facebook, Twitter, and Tumblr. She is majoring in public relations with a minor in Spanish at Hofstra University. Kaitlyn's first, and so far only, time outside of the United States was to Spain where she studied as an exchange student for two weeks. The experience was incredible and she was able to fully submerge herself in the country's culture. She hopes to live in Spain someday and teach English. She loves working at RealAdventures because every day she has the chance to learn about new and exciting places to travel to. Working at a small company allows her to give her input on important topics and also gives her one on one time when she is learning about new marketing ideas. Vanessa is passionate about travel and takes every chance she can to go on fun and exciting adventures. Since planning a trip is half the fun, she loves working for a company with so many interesting and diverse travel ideas. She has traveled extensively in the continental United States and Hawaii, Europe, Mexico, and the Caribbean. A Southern California native, she has been living in Boston for several years and will graduate from Boston University's College of Arts and Sciences in May 2006 with a degree in International Relations. Born in Montreal, Carolyn has had a passion for travel since she took her first flight to Florida when she was only three months old. She is completing her undergraduate work at Boston University where she majors in Advertising and studies French. She came to RealAdventures with valuable experience from past positions at ISM (a travel and leisure ad agency) and AdLab (Boston University's ad agency). Her marketing background includes a mix of business development, promotion, copywriting and account management positions. Some of her favorite travel destinations include France, St. Martin and California, but she is always looking to discover a new favorite. Carolyn is excited to work for a company that shares her love of travel while helping travelers find their ideal vacation. Born and raised in a small town in Rhode Island, Michaela couldn't wait to get out and see the world. 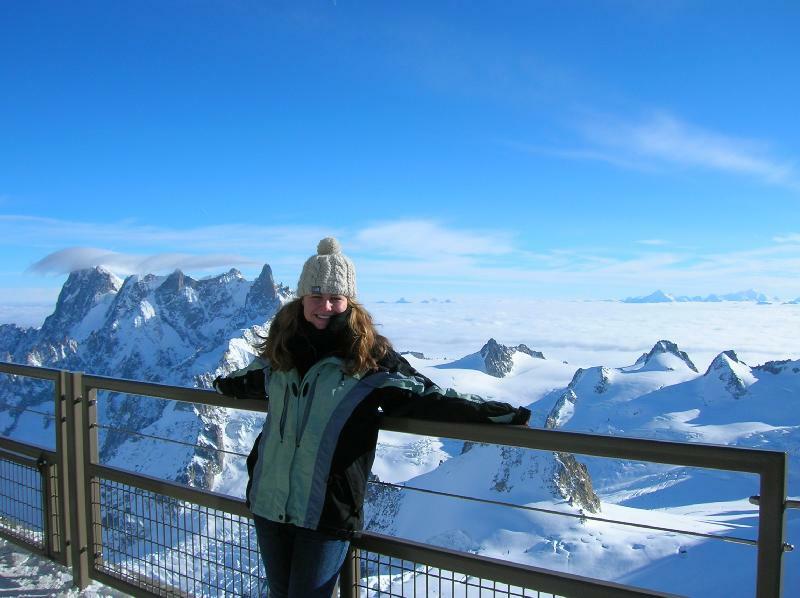 Since enrolling in Boston University, Michaela has traveled all over the states, Caribbean, Canada, UK, France, Spain and Switzerland-and cannot wait to explore more. A rising senior at BU in the College of Communication, Michaela is studying Advertising and Economics with a minor in Visual Art. She came to RealAdventures with valuable marketing experience from past internships which include the Museum of Fine Arts, Studio6x7 Photography and Adlab. Michaela is thrilled to work for a company that shares her love for travel. Born in New York and raised in the Philippines, Felicity has always had a taste of many worlds. Since moving to Boston in 2005 to finish a degree in Journalism, this photography buff has found herself living in London, Paris and Washington as well. As such, she has no permanent address, and may be considered a modern-day nomad. 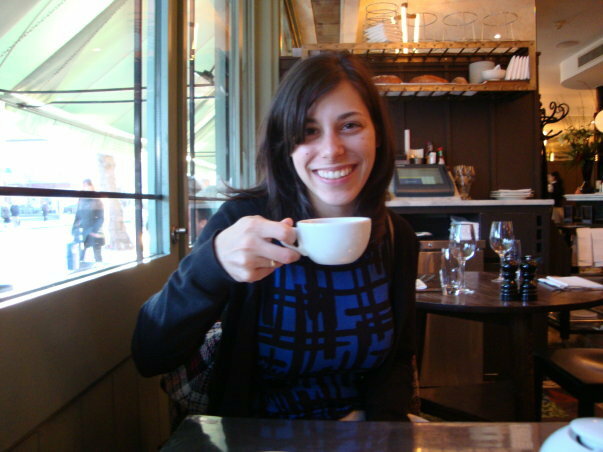 She is a travel writer and has worked with magazines, ad agencies, and news bureaux around the world. But whatever she does always brings her back to her love for world adventure. She's been in about 30 countries and 130 cities in and around North America, Europe and Asia, as well as Australia, North Africa and Central America. Her passport has no immediate retirement plans. I love adventures, especially in places I've never been. An adventure to me is anything from trying rabbit tartar in Paris, to jumping into the Irish Sea in Wales, and sleeping under the stars in the Sahara, next to your smelly camel (this is actually a wonderful experience). I'm such a little person and it's such a big world, but Real Adventures makes that world easily accessible to me. 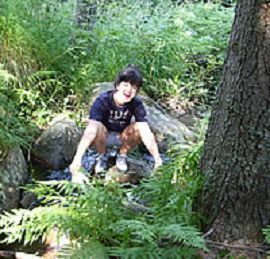 Here at Real Adventures, I am able to bring together my love for writing, for traveling and for sharing this wonderful world with people who want to live like life is an adventure � because it is. The only place abroad I have ever traveled is Morocco, Nord Africa for 20 days. It was really amazing Casablanca, Rabat, Marrakech are wonderful places. My dreams are to go to Japan, China and South Korea, Australia, Chile, Antarctica and Yellowstone. I'm not so sure it happens but I know everyone should dreams a lot to have a chance some dreams become true. I graduated with a master degree in Geodesy & Cartography in 2000 from University of Architecture, Civil Engineering and Geodesy in my native town Sofia, Bulgaria. When I decided to start working as a freelancer web designer (& 5 years ago) I created a site for me. It is in Bulgarian and now I think is very childish I don't like it. Thereafter 2 or 3 times I started new designs and suddenly something more interesting came and I dropped the work. Too lazy and light about myself marketing I am. I will always remember the day I said to a friend I will design for you this interface page. Ha ha! A-ha-ha! The most naive and lucky day in my life. Here is how I meet my love web page design. This first page took me so many days to design. And every day thereafter I couldn't stop learning graphic design for web, HTML, web apps GUI, CSS, SEO, .., web marketing. All my most significant projects are web applications. Now I'm working on ICAR (national cadastral information system of Bulgaria) and Real Adventure redesign.I can't explain why and how it happens but RA win my heart. I can't stop thinking about it. Stat result page became a source of joy and tears these days. Atticus has traveled extensively through India and South East Asia, living with local families, trekking through deserts and over mountains, and finding the choicest spots for relaxing. He has backpacked through much of Europe and has traveled and lived throughout the United States and Canada. He hopes to help inspire others to go out and see the world's beauty for themselves. 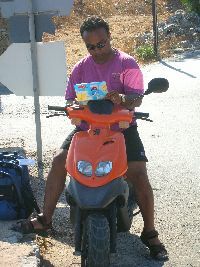 Devin's interest in computers and love for travel brought him to RealAdventures. He has been on both tremendously exciting and wonderfully relaxing trips and hopes to share his experiences and learn about new ones. Devin is majored in Television at Boston University's College of Communication. Neal spent the summer and fall of 1999 traveling the United States, Canada, and Europe with his local Boston band Fastbreak. Neal attended Boston University, concentrating in business administration and marketing. Shane spent the summer of 1999 living on a commune in Israel, and traveling around the Middle East. Shane attended Boston University, focusing on english literature and philosophy. During the school year, he works for Boston's Intergenerational Literacy Project as a literacy tutor. He also teaches ESL at the Boston Center for Adult Education. 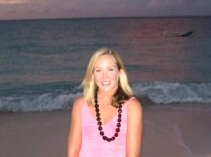 Since 1995, Stacy has lived alternately in Singapore, Boston, Tokyo, and London. She has traveled extensively throughout Asia, Europe, and North America. Stacy attended Boston College with a concentration in English literature and political science. She also serves as a freelancer in the communications department of the AIDS Action Committee of Massachusetts, Inc.
Brandon returns to the US after traveling throughout Australia and Sub-Saharan Africa where he wrote a thesis on Economic Restructuring, gave a speech in front of the South African President, lived with a Zulu Family, and surfed monster waves in shark infested waters. He comes to RealAdventures with a special interest in building a site, which will be accessible and useful to all travelers. Brandon is from California and attended Boston College majoring in Economics.